You need more Andy in your life! Pop art pioneer Andy Warhol (American, 1928 - 1987) would have loved his current ubiquity and apparent immortality. Already a successful commercial designer, in 1962 Warhol broke into the fine art world with his now infamous "Campbell's Soup Cans." By depicting everyday objects, he instigated a departure from his predecessors, the Abstract Expressionists, and ushered in the era of Pop Art. Throughout the rest of his career, Warhol consistently and simultaneously exemplified, glorified and criticized commercial consumption with his innovative work. 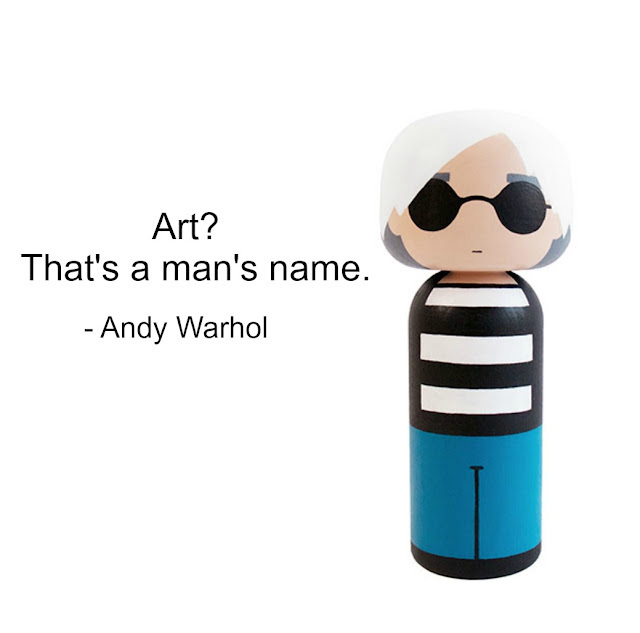 Today, we're celebrating all things Andy Warhol with a collection inspired by this work. Scroll below to learn how you can Andy up! This art-historically significant combination will energize your environment. 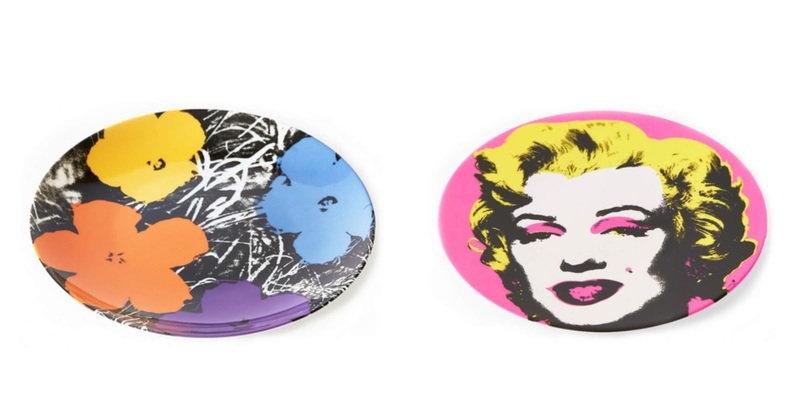 French Limoges porcelain is applied with pop art pattern on our Andy Warhol Flowers and Marilyn Plates. Wall mount them or display them on your shelf to create conversation in any room! 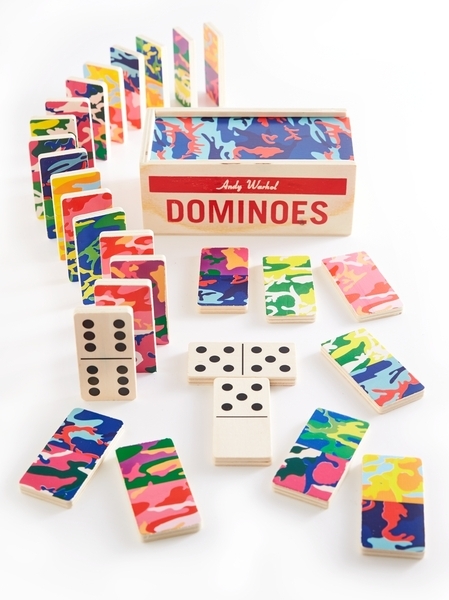 Host a Pop Art patio party with our Andy Warhol Wooden Dominoes set. The psychedelic colors of this set make it perfect for play or display, and fun for everyone! Like Andy himself, these candles are scent-sational. Each quirky candle has a signature fragrance contained within his iconic images, rendered in 3-D.
Get your kitchen in on the action! 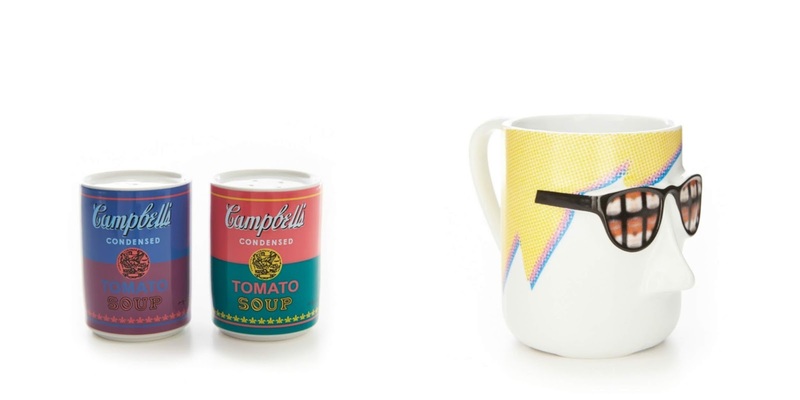 Give it the Andy treatment with our Warhol Soup Can Salt and Pepper Shakers and Andy Mug. They're a recipe for fun. 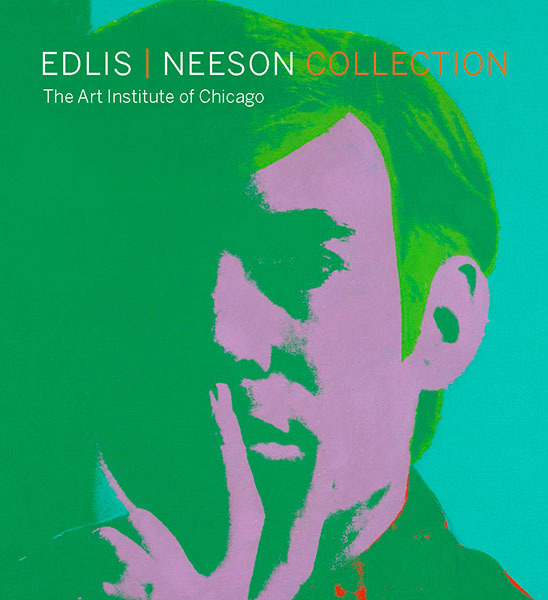 Finally, Andy covers our book Edlis / Neeson Collection: The Art Institute of Chicago, documenting one of the most significant major gifts in the history of the Art Institute, of which Warhol's work is an important part. Add some Andy to your bookshelf or coffee table today!